hey umm, im thinking about getting this phone, im just wondering if the music is loud and clear?? and also, when you take video's, is the sound nice and loud and clear?? thanks. i have had this phone for now around three months. is a good camera phone. the first problem i faced with this phone was that it lock button used to get pressed in my pocket and the phone used to get unlock and dial numbers.. the second problem i am facing just now is that the touch screen freezes some time and refuses to work rendering the phone useless. 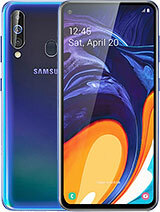 i had taken the phone to the samsung service centre in sharajah after facing the problem 5 to 6 times and imagine they told me sorry bring in the phone when it hangs....(have to rush the phone from ajman to sharjah when it does hang) the most idotic thing i have ever heard. i made a mistake of buying a samsung product i guess. J K (india), 29 Jun 2009i wnt instll opera browser how can i do tht on pixon8.0? plzz tell genious guys you...If you want to install Opera Mini just go to the Opera Mini website from your phone and you can download it from there, just as if you're downloading a game or applications on the phone. Please can someone tell me what this phone is like at taking pictures in the dark? I have asked a few times but no-one seems to tell me, I am considering buying this phone but need to know about night pictures first! Please let me know how to change/customise the SMS tone in the Pixion. 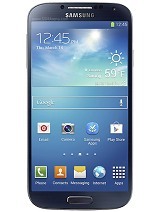 I gust got the Samsung Pixon over the weekend and what a great phone it is. The 3.2inch screen is great, has great colours even though it has 262k colours. Direct sunlight legibilty suffers a lot but its not that bad. The screen is responsive and so far it hasn't been lagging at all. The web is quite a nice 'touch' and is fast with HSDPA/3G at 7.2Mbps. The eye catching part of the Pixon, The 8mpx camera, is very nice. The photos are amazing and brilliant when viewed on a desktop. I tried setting up my email by adding my user name and password and I though the settings would be downloaded automatically(just like on my old K850i) but that didn't happen. After all was set up was compete and downloaded my emails, the phone showed an error saying "Cannot connect" - I dunno what was wrong but after I tried this for the 3rd time, it worked. Lastly the GPS is quite a nice feature and although GSMArena claims that the Pixon does not have Voice-guided navigation, mine has that feature. Maybe it depends on which Country you're in or what king of GPS you have. Very excellent hardware Completely Devastated by lack of a Good OS. I wanted to see windows Mobile 6.5 on this set. samsung has to be really stupid to bundle a Proprietary OS with Such powerful hardware. I really want to know what this phone's camera is like at taking pics in low light conditions or in the dark, Can anyone let me know? Cheers. rom, 27 Jun 2009go on the camera and then on the setting which is located on the bottem lefthand side you will... moreGot it.....!! thnx a lot...!! One more question.. My cell's firmware is M8800DDIB1.. should i upgrade it..? what r the benefits of upgrading..? What are pics in the dark like on this mobile? How good is the flash in low light conditions or in the dark?